Self balancing scooters are becoming popular day by day and most of you might have seen videos on social networks by many people. They initially look a bit scary, but since they are very easy to learn, a first time user doesn’t take much time to become of pro of them. There are many Hoverboards available in the market. Many users buy fake and useless products due to lack of knowledge which ultimately causes less satisfaction and frustration. 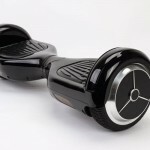 Here in this article we will give you the information about the top three self balancing scooters that are highly reliable and storming the entire world now a days. 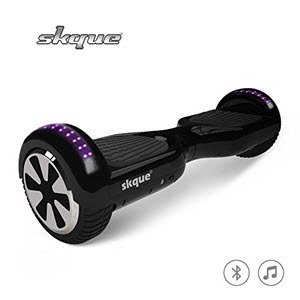 These Hoverboards offer many exciting features and deliver outstanding performance so have a look at them and place a right decision accordingly. Swagtron T1 boasts exiting features with new safety parameters set by the manufacturer and doesn’t catch fire from electrical short circuits. It’s the first self balancing scooter which has received safety certification from Underwriters Laboratory. 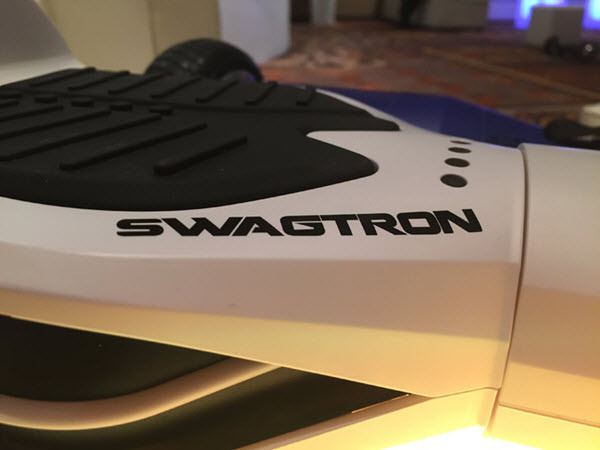 Swagtron is more focused on rider safety that’s why it is built with a hard ABS outer shell which has non-slip foot pads, smooth gear system and a secure motor. Aluminium rim and rubber tires make your ride hassle free. It has a bright LED front/head light which helps user to travel at night. Swagtron T1 is light-weighted and weighs only 9.9 Kgs, so easy to carry anywhere, its dimensions are 23 x 4 x 7 inches (height x width x depth). It is available in various colours and you can choose from white, black, red, blue, gold and pink. Swagtron T1 uses UL 2272 certified high-powered lithium Ion Battery with SentryShield multi-layered safeguard. It is good for beginners because it includes learning mode, which reduces the top speed and let the user ride slowly till the time he/she doesn’t learn the functionality properly. Once you become a master of it, switch the rider mode to enjoy the top speed. It can take you for a ride at the speed of 2 to 8 mph (3 to 12.8 Kmph) and cover the distance of up to 12 miles on a single charge. There is one more thing that needs to be considered that it can bear the maximum weight of 220 pounds, which is almost 100 Kgs and minimum weight of 44 pounds (20Kgs) which affects the speed as well the range, a light weight rider can travel at more speed and cover more distance. It takes more than 1 hour to get charged fully. It is good for beginners because it includes learning mode, which reduces the top speed and let the user ride slowly till the time he/she doesn’t learn the functionality properly. Once you become a master of it, switch the rider mode to enjoy the top speed. It can climb up to 30 degree, which makes it better than some of its competitors. Though we advise new users to start from a flat land. The UL certification doesn’t protect users from accidental falls. Though, they have introduced the learning mode. Another drawback could be the top speed because some of its competitors provide higher top speed. 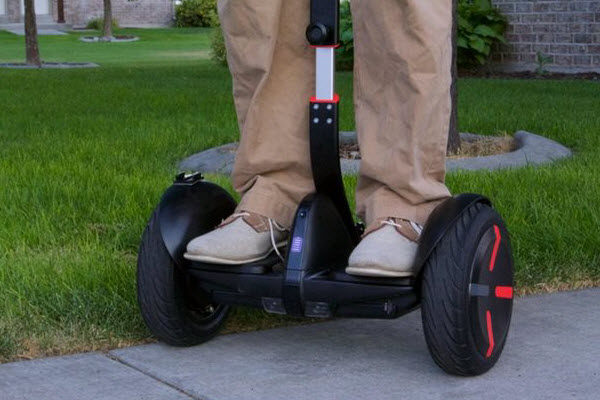 Swagtron T1 is one the best self balancing scooter available in the market and highly popular among kids as well as teenagers. 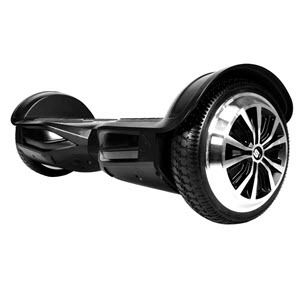 The price of this Hoverboard is very economical and fits in buyers pocket. It is easy to learn and most importantly very safe. 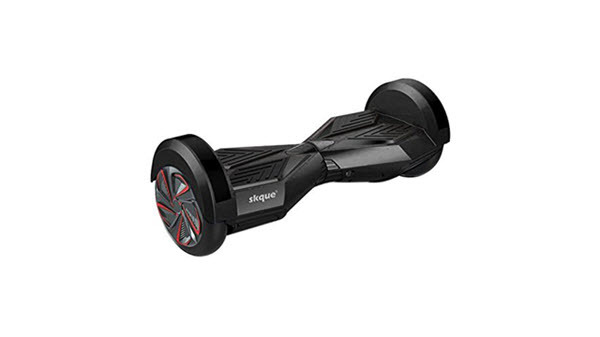 Skque 10″ scooter is another smart board which is also known as an off roader due to its easy functionality and capability to ride on plane road as well as muddy ground towards the water smoothly. It has a wide surface and build with high quality components to ensure the safety of its riders. It has a sleek design and ships in various colours such as black, white, red and blue. Wide 10 inch gives a good ride height and allow user to ride anywhere without any hassle. 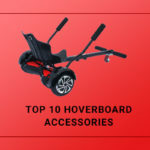 The Exterior part is constructed with hard plastic which is quite strong and the paint coating over it gives a glossy finish to the Hoverboard and looks very catchy. It has bright LED lights on the front which helps user to figure out the condition of path at night or in dark environment. The aluminium rims are covered by rubber tires so that the user can ride smoothly on rough roads. The motherboard is located under the non-slip foot pads along with the Gyro Sensors. It comes with inbuilt speakers so that user can listen to their favourite music while riding. It sources power from a strong Lithium battery. The scooter is a bit heavy and weights approximately 15 Kgs. It includes Gyro Sensors to sense angular velocity and balance the weight easily. The powerful Samsung Li-Ion battery of 44000 mAh and 158 Watt capacity allows users to ride approximately 20 to 25 kilometres on a single charge even if they listen to the music continuously. It has inbuilt Bluetooth facility so that you can connect to your mobile phone and enjoy the ride by listening to your favourite songs. After pumping the air, rubber tires give sufficient ground clearance and let user ride off the plane roads on rough surface or on the marshy beach. The scooter has the maximum weight-bearing capacity of almost 120 Kgs. It has a pair of Brushless DC electric motors and each one produces 250 watts of power. The top speed of the Skque 10-inch scooter is around 10 Kmph (6 mph) which is satisfactory. The scooter can be taken to a hilly area as well because it can incline up to 30 degrees of angle. The device is highly portable and comes with a carry bag. There are some self balancing scooters that are offering more top speed. It is heavy and made of a plastic body which is prone to scratches if meet an accident with a hard rock or falls suddenly. Skque 10 inch scooter is good for those who live in the country side or a place where you do not travel on proper roads all the time. Due to its good ground clearance you can use it on any kind of surface and powerful motor and strong battery allows you to travel long distance with an ease. 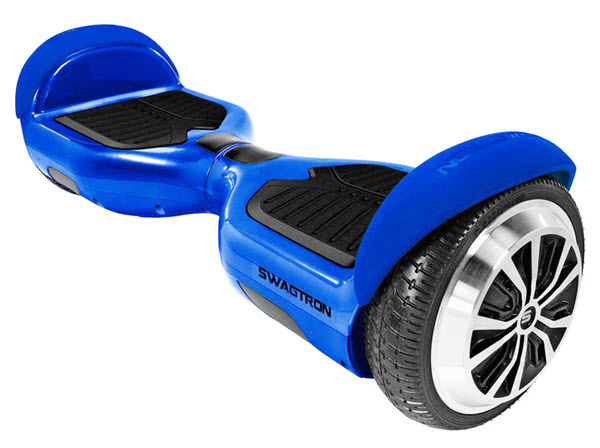 Swagtron hover-boards are well-known for their high level safety standards and Swagtron T3 is not an exception. Its UL 2271 certified components provide smooth and cheerful ride to its user. Its SentryShield Multi-layered protected battery avoids electrical fire and quality build shell lets users balance themselves easily on this smart hands free hover board. 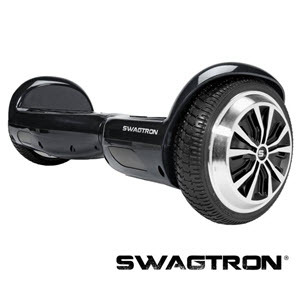 The Swagtron T3 is built with high quality materials to offer a safe and relaxing journey. The new poly carbonate casing is scratch and fire resistant. It offers non-slip foot pads that let user to maintain the balance and aluminium Wheels with Rubber Tires provide smooth riding on any kind of roads. It is highly portable and comes with a built-in carry strap. You can listen to your favourite music while riding as it includes high quality built-in Bluetooth speakers that can be connected to your smartphones. You can easily walk away at night because it has bright LED headlights with motion indicators to navigate the path. The dimensions of this hover-board are 23 x 4 x 7 inches (height x width x depth) and it weighs 22 lbs which is approximately 9.9 Kgs. It utilizes top quality Lithium battery with Sentry Shield safeguard. Performance wise it is not lesser than T1 and offers same kind of functionality. You can use it on a flat surface as well as hilly areas because it can climb up on 30 degree. The top speed of Swagtron T3 is 8 mph, which of course depends on rider’s weight, temperature, terrain, and a user’s driving style. It can bear up to 220 lbs (100 Kgs) of weights and its minimum weight-bearing capacity is 44 lbs (20 Kgs). The battery takes 1-2 hours to get charged fully and once charged, it can cover 7 to 12 miles of distance. They have US-based customer service and users can contact live chat team from their website. Alike T1 is also has the inbuilt learning mode, which can be activated while learning the basics and helps first time users to ride comfortably. It is easy to learn and normally a user takes almost half an hour to become a master. To achieve the maximum speed of 8 mph you need to turn off the leaning mode. 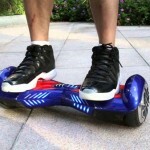 If you compare it with other hover boards, you won’t find any drawback in it. Though, it is advisable to beware of cheap copied products that look similar. Few users may complain about the top speed. Riding on Swagtron T3 is fun. It’s not too expensive and can be afforded by most of the people. Its easy functionality helps new users get a hang of it quickly. 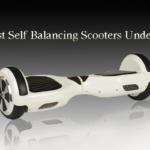 Alike any other Swagtron Hoverboard the safety has given the top priority which eventually helps the user to ride with a peace of mind. It is not possible to use a car or any other vehicle for a short distance and if you live in a remote area where roads are short and improper than walking is the best possible option but due to these smart self balancing scooters you can reach anywhere with less effort. Riding on a hands free scooter gives ultimate pleasure and covers the distance in a pleasant way. These scooters are also environmentally friendly because they don’t consume any sort of fuel and do not release any harmful gas. They can be used by kids as well as adults in a comfortable and relaxing manner.